Gonzo’s Quest is one of my favourite slots and I really enjoy watching other players’ big win videos on Youtube. It’s just such an entertaining slot machine, with Gonzo dancing when you hit a nice win! The slot game is beautifully animated and the unique Avalanche feature makes the game even more fun to watch. While Shirox was playing on Gonzo’s Quest he won free falls, which is Gonzo’s version of free spins. Before the free spins start you see Gonzo walking to the golden city Eldorado. 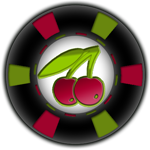 During the free spins you get a higher multiplier when you get an avalanche, you can get a maximum multiplier of 15x. Thanks to a couple of nice wins, Shirox walked away from Eldorado with 552 euros. A pretty sweet win, considering that he was only betting 1 euro per spin. Once again Gonzo walks to the golden city Eldorado when NickSlots managed to get three Scatter symbols lined up on one of his paylines. As he has never had a massive win in this slot, the expectations are high! He gets 20 free falls and rapidly reaches the maximum multiplier of 15x. Only on his 5th free fall, he manages to get a few winning lines giving him +4050 gold coins! After this, he claims to finally see the potential on Gonzo’s Quest. What a great feature! He says over and over. The gold coin rain lasted nearly a minute and Gonzo barely managed to collect all +18273 gold coins with his hat. NickSlots won an impressive £931.65. Showing that the free falls game is a great feature! Long big win videos are not something you often see. Generally, these videos are not longer than 4 minutes. So when I saw that this video was over 12 minutes I was curious as to know why. First I thought that the video was this long because it is super slow. While it might be amusing to see Gonzo robot dance his way into Eldorado, I rather see videos at a normal speed. Anyways, after the first minute, Gonzo enters Eldorado with 20 free falls. These 20 free falls rapidly increased to 35, then 42, then 51…! I must say that I have never seen so many free falls! Super Big Win for Huneasd! In general, I prefer big win videos in where I can see the full screen and in a language that I can understand. However, I like this video because Huneasd, the player, drops lines in English to keep everyone in the loop. A few minutes after getting 20 free falls, Huneasd made almost €600! I must say that is no surprise then that his stream had 76 viewers! He made nearly €1000 in less than 5 minutes…lucky him! This big win video has nearly everything to be a super big win video. You see Gonzo walking to the golden city Eldorado, the player getting 20 free falls and after only less than 2 minutes he or she making €600. Shame that the recording was made with an external camera. The quality is not really good and you can barely hear the music! Plus, the video stops before the gold coin rain and that’s my favourite part of Gonzo’s Quest! After watching all those dancing big win gonzo videos I feel like dancing myself! I am off to a nightclub! If you’re not so much in dancing, and would like to read more about Gonzo, check our review. If you are like me and can’t get enough of big win videos, check out the Starburst big win videos and the Twin Spin big win videos! 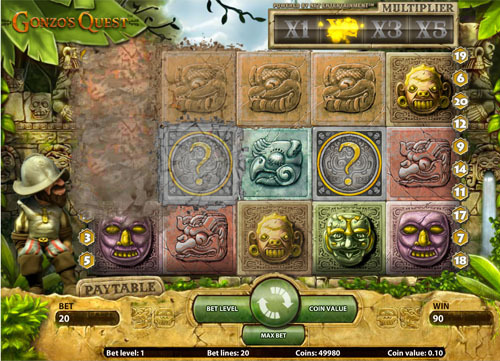 If you want to know more about this slot, head over to Gonzo’s Quest Video Slot for an extended review.